Andres was a very knowledgeable guide and was able to answer our questions. He was able to accommodate our request to add additional people to our tour. I would recommend him to others travelling in the area. Andres showed us the lovely lake in the area. We were pleased with his knowledge and enthusiasm for his job as a guide. Andres' energy, knowledge, flexibility, and good humor were fantastic and we had a very enjoyable day with him. Would highly recommend him to others! Excellent tour of the Puerto Montt area by Andres. His vehicle was immaculate and comfortable. Andres was knowledgeable, friendly and interesting. He shared information about his region and about the cultures in the area with enthusiasm and we felt like we learned a lot about Chile from him. We enjoyed the local restaurant where he joined us for lunch and acted as translator. This was our first experience with Tours by Locals and we were very impressed. We were very satisfied with the Market Tour that Andres provided for my husband, myself and our adult son. He was prompt in picking us up at the pier and conducted himself very professionally. Lunch was included and he even gave me some pesos in order to use the women’s bathroom. At the end, I mentioned that we would like to go to a department store in order to buy some socks for our son and he accommodated us with no problem. He did a fine job. It was rainy and windy the day of our trip and we couldn't take the hike we had planned. Andres was very flexible and helped us come up with an alternate plan. Even with the weather, we had a wonderful hike and visit to the Puerto Montt Market. The boxed lunch was great! Andres was fantastic - extremely knowledgeable...took us to the most amazing restaurant for lunch and acted as our personal shopper and translator in the local markets. We had such a fabulous time with him and we definitely would recommend him to anyone. Andres is not only charming and entertaining but extremely knowledgeable and the best guide. We had an incredible experience with our guide Andres. He was prompt, knowledgeable, easy going and very accommodating. His local insights provided for our maximum benefit. We hit many of the primary attractions within the Lake District- Puerto Montt market, Fruitillar, Puerto Varas, Osorno Volcano, Petrohue Falls, Lago Todos Los Santos. With each stop he shared history and current events. The natural beauty we experienced was beyond imagination and adding to this was our exceptional guide Andres. We were very impressed with Andres! Our tender time in port was changed three times yet each time we notified him by email, Andres rolled with it. In the end, we had much less time in port that we had hoped, but he was flexible and we felt like we saw SO much in the time we ended up with. And he even took us to his favorite empanada place when we asked! We also felt like we learned a lot about chile! Andres was a wonderful guide. He got us around and helped us avoid tour bus traffic which made it possible to see and do more. We had a great day with him as our guide. Andres gave us a lot of local information and details. However he did not come up with other things or a way to use our full allotted time. It was nice to see the area, but there is not a lot to do here in a six hour period as you cannot get into any significant hiking if interest is there and some of the national park features are easily seen elsewhere. We opted to see the towns and how people lived and worked in the area and that was interesting. Andres was a delightful guide with a very keen sense of humour! His communication skills are very good; he spoke of his personal experiences of living in the area in an entertaining manner. He took us to a viewpoint near the house where he was born and he covered many miles to ensure that we saw as much of the area as possible. Although we were some 90 minutes late meeting him at the port (ship's fault), he gave us the total amount of time paid for. He provided a snack too! He was great company. Everything was as advertised and more. Upon meeting Andres gave a run down on the day's itinerary and offered up options we selected the ones we wanted and off we went. He had us to the cruise terminal in good time and he took very good care of us. He made sure to meet special requests like shopping for an iphone charger cord and a grocery store visit. Andres took 8 of us for a shore excursion tour from Puerto Montt. He was an excellent guide, good pre tour communication, detailed introduction and information of the area and sights, very pleasant and professional. We were very grateful of having him as our tour guide. Andres was a great host, his 20 years of experience as a guide shone through. Andres is passionate about the spectacular Vincente Perez National Park, his stunning home town of Puerto Varas and the city of Puerto Montt. We valued his expert knowledge and friendly manner. Our family is grateful for making our experience so memorable. Thank you. This lake region is so vast, it's not easy to tour it in only one day. Andres knows the region very well and he managed to get us around so we could see the most of it. We had a very good time with him, saw nature, typical village and local market. Thank you Andres! Very good guide. Enjoyed his depth of knowledge! We had an amazing time with Andres. He created a personal itinerary that included all we wanted to see. He was professional, informative, communicative, and fun to be with! We would highly recommend his services and already look forward to our next tour with him. Andres met us punctually at the cruise port. In Frutillar we walked along the shore, taking many photos. He showed us some delicious cakes and we had to have a coffee stop! Then pisco sours in Puerto Varas and a good walk round. Unfortunately the weather was not kind to us, so the views were not as spectacular as we had hoped. We did not feel rushed and Andres stopped for us whenever we wanted. He was very patient! We had an interesting day and would recommend Andres without hesitation. Thank you, Andres! Andres could not have been more gracious and knowledgeable while providing a great tour. The views of the Orsono volcano in Puerto Varas were breathtaking. Andres was referred to us by trusted friends in Adelaide, we were not disappointed. I am a former tour operator who specialized in South Australian Outback tours, Andres from a professional point of view conducted himself in a professional manner at all times. The tour route chosen by Andres hi lighted the best the local scenery had to offer. The venues for morning tea and lunch were excellent. Good luck for the future, regards, Graeme & Chris Heritage South Australia. We had the most wonderful day with Andres and Carlos. Everything was personalised perfection and everything I was looking for in booking a private tour for just the 2 of us. Snacks and drinks made up for us, doing the destinations based on what the weather was doing and avoiding the crowds off the cruise ship to maximise our trip, an amazing recommendation for local lunch based on what we are asked for and just the most perfect service with an amazing guide in a fantastic place. TOUR GUIDE RESPONSE: Hello April! Im very glad you spent a great day with Us in our amazing District. Thank for visit our Country and support Locales here. Warm wishes, Andrés. Thank you Andres for giving our group a first rate tour. We appreciated your knowledge and friendliness. This day with you was the best way for us to see all the wonderful things your area had to offer. Anyone wanting a special experience in Patagonia Chile should choose this tour with Andres. Our day spent with Andres was excellent. He was a very knowledgeable guide and packed a lot into 1 day. TOUR GUIDE RESPONSE: Thank You Mary for your rating and all your support at the excursion here in Lake District. Best regards, Andres Tour Guide. We were a party of four arriving by Oceania cruise ship. Andres promptly met us at the cruise port and we set out for our tour. We headed to Llanquihue Lake, huge and beautiful, then on to visiting Osorno Volcano including hiking around the Petrohue Falls and visiting All Saints Lake. The area was spectular especially when the clouds broke and we were able to see Osorno. Andres was knowledgeable, very pleasant and did a great job showing us the sites around Puerto Montt. We would highly recommend. Andres was an excellent guide. 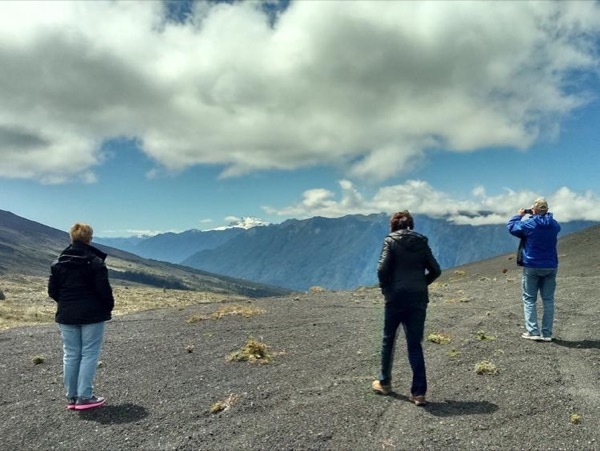 This full day tour was packed with interesting sights, especially Osorno Volcano, and Andres was knowledgeable and made it very enjoyable. We would highly recommend this tour. Andres was great even with a very early start to the morning. Because of our early ship arrival he planned our day to avoid the large crowds and gave us a great insight into Chile and the Puerto Varas. The weather could not have been better and the great local lunch in Puerto Varas was a true joy and experience. The time in the National Park,falls and volcanos was just right and could not have had any better timing to avoid the crowds. Andres has a true passion for his country. Andres was an excellent tour guide! We booked a private tour to visit the Penguins and it was a great day! He was on time in the morning, very knowledgeable about the area and everything ran smoothly. He was even able to accommodate our schedule to get us back in time for a flight. His English was also excellent and we could understand everything he said. What a great day with Andres! He met us promptly at the cruise terminal and the amazing day began. Andres showed us the beautiful scenery of the national park with great pride and enthusiasm. We could really tell how much he loved his city and by the end of the day we loved it too. Andres tour was our favorite day in Chile. Don't miss the delicious ice cream and fantastic lunch in Puerto Varas! Andres was absolutely amazing! He was extremely knowledgeable, spoke very good English, was respectful and considerate of our needs. He would explain the plans for the day, how much time we had at each stop, ensuring for bathroom breaks, lunch break, when to take our coats, etc. This was much appreciated! The tour bus was comfortable and the water bottle and snacks were a nice bonus. We understand Andres's daughter packed the bags for us. How sweet is that ? It just made us feel special. What a wonderful tour we had with Andres! There were 6 of us so we had a comfortable van with a driver so Andres could concentrate on giving us a constant commentary as we drove along. He followed our wishes totally as to what we preferred to do which was great. We would all highly recommend Andres as a guide! Andres is an excellent guide. Since we were all tired, he suggested an alternate plan which we loved. His English was great. He was personable and very informative. A really excellent tour. 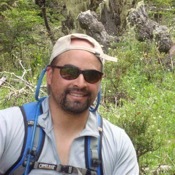 Andres has an extensive knowledge of the region including natural history. He very ably answered our many questions regarding the plants and birds which we observed along the trails.. In addition we learnt a great deal about the landscape, it's history and its people. We highly recommend Andres as a guide. Andres met us at the dock with a very nice welcome. We had a wonderful day touring. He was very knowledgeable about the area and stopped anytime we asked. The stops were always as long as we needed, and he also had snacks for us to enjoy. I would highly recommend Andres for a very enjoyable tour. He customized the tour to our needs. We had read reviews of Andres and were not disappointed. He is a WONDERFUL tour guide; it felt like we were visiting with a friend. He eagerly shared his knowledge, answered all the questions from our group of 4 (agriculture, wildlife, history, education and more). He tailored the tour based on our desires - a visit to a local market, lunch at La Ollita, helping us purchase gifts. He kept us engaged, giving us a real feel for the local region and Chile. We fully enjoyed our day in port thanks to Andres. Andres was informative, friendly and a wonderful host on our excursion to visit Penquins in Chiloe, Chile. We couldn't have asked for more. He arrived promptly as scheduled, showed us a true, insiders view of his country and helped to make our visit truly special. I highly recommend Andres! We had a wonderful tour with Andres even though the weather didn't cooperate with rain shrouding the Osorno Volcano. The Petrohue Falls area was fascinating. Andres was a great guide who kept the tour flexible and showed us what we were interested in seeing. He accompanied us during a hearty lunch in Puerto Varas and wandered with us through the town. He also took us to the fish market in Puerto Montt. We require a lot of dialog with our guides and Andres proved to be extremely knowledgeable. Everything went according to plan. The airport pickup and dropoff were right on schedule, and I saw everything I wanted to see in the 1-day trip and did it all safely. There were no problems, and the trip went fine. Andres did a great job. If you want a guide who intuitively senses the interests and the tempo of his clients; constantly reminds you he's flexible to accommodate any requests, then Andres is the guide for you! He was extremely knowledgeable and able to answer (in perfect English) our questions on architecture, horticulture, wildlife, foods, wines, music, local folklore, etc. When this guy says he's a "country boy" take him at his word because he's not only a superb guide he's got a heart as big as the Patagonia, too! Andres was a wonderful guide for our party of 10. Our only concern was the amount of shopping for which time was set aside. Our group only had 1 shopper so the rest of us would have preferred more sightseeing time. That being said Andres did take us on a walking tour of Puerto Montt & Puerto Varas which was greatly enjoyed by all! Andres is an wonderful guide. His knowledge of the land around Puerto Monte is excellent. When he learned that we were interested in birds and photography he tailored the excursion to match our interest. We were able to avoid the areas that were overcrowded with tourist on ship excursions. I highly recommend Andres. This is a very beautiful tour, the volcanos and the scenery are wonderful. We were fortunate to have Andres as our guide - he is very experienced, knowledgeable about the flora and fauna and the geology, and professional. The snacks were great. We would have loved to have more time. We have used Tours by locals for a few years now and the reason is because of people like Andres. "Top Notch" in every respect.....he knew where and WHEN to be at places to 'beat the big tour buses".....and this is very important. The scenery in Puerto Montt is breath taking and Andres made sure we saw all of it during our one day visit from our cruise ship. Thanks again!! Andres was fantastic! He picked us up at the cruise pier on time and gave us a wonderful,tour of the Petrohue Water Falls, Osorno volcano, Puerto Varas, and then back to Puerto Montt. This is a tour not to be missed, and Andres is the perfect guide to conduct your tour. He is very knowledgeable about the area, his English is great, and he even provides snacks!!! Andres was pleasant and eager to ensure that we would have an enjoyable tour. His English is good and he has a thorough knowledge of the area around Puerto Montt. I would not hesitate to recommend him to anyone planning to visit that part of Chile. We had an amazing time and Andres was a really great guide. He is very knowledgable and gave us a fantastic day. We would highly recommend him. The itinerary was excellent. Andres is a five-star guide all the way. He shared his enthusiasm for all Patagonia had to offer by e-mail well before we arrived, and kept us updated on weather and plans as our cruise ship neared Puerto Montt. He provided snacks and made sure all entry fees were pre-paid. Andres made sure we had spectacular views of the Petrohue Falls, Osorno Volcano and surround areas. He then gave us a real feel for beautiful Puerto Varas and took us to find exactly the kind of local crafts we wanted. Great day! Andres was fantastic!. Excellent English and completely on schedule. We were a party of four and we sat comfortably in his vehicle which had a separate driver. Andres was then able to concentrate on touring and answering our questions. Andres truly loves nature and anyone wanting a special time could not find a better guide. My husband has food allergies and Andres did a great job finding us the right restaurant. The whole day was a dream come true in beautiful Patagonia. Andres was on time to our meeting point. He was very accommodating and helpful to my 85 year old mother. We packed in a stop at the Petrohue Waterfalls, Osorno Volcano area, lunch at a local restaurant, as well as a little time to shop near the pier. We were able to adjust our schedule as the day flew by which allowed us to do as we wished. I would highly recommend Andres without hesitation. His knowledge of the history of the area was quite informative and kept us all captivated. We worked with Andres to create a 2-day custom tour around Puerto Varas and Punta Arenas. The first day was spent visiting the local markets that are far off the usual tourist itinerary. Including lunch at a local restaurant, and despite the weather being less than cooperative, the day was outstanding and filled with many memories. Day 2, volcanoes, waterfalls, and national parks. Andres created many great photo opportunities and the day was outstanding. A great guide and local expert. Well recommended. We were on a cruise Apr.11 docking in Puerto Montt. We met our tour guide from Tours By Locals outside the container port gate as some guides are not able to go inside.Despite this being an area of high rainfall, we had a beautiful day. If you are looking for a guide, Andres is fantastic. His English is excellent. His sense of humour & personality, wonderful. Alex is a safe driver who allows you to enjoy the day. What more can we say other than thanks for a wonderful day. Andres was AMAZING. He spoke English VERY well (I would consider him fluent in English). He was very friendly AND very knowledgeable. He explained everything available for our all day tour, then gave us options if we wanted to alter the excursion. He was prompt picking us up at port and dropped us off at the port entrance on time. I felt this was the best tour guide and excursion on our cruise (we took 5 private excursions). Andres and his driver provided a very good excursion, from meeting our group as planned through his narratives of the various features we saw and visited. He presented the exceptional topography of this region extremely well and gave of some understanding of the culture and history of the region - tailoring the tour to meet our time limitations. The quality of the tour was undoubtedly enhanced by the clear skies and light winds. Thank you Andres for making our day so memorable. Our group of six enjoyed this tour immensely and thought Andres did a wonderful job. Andres walked with us on our tours and demonstrated excellent knowledge of the towns and area, and his English was quite good. I would not hesitate to recommend Andres or the tour to anyone seeking a more personal tour of Frutillara, Puerto Varas and Puerto Montt. Jeanne S.
Andres picked us up at the airport and took us to our hotel two hours away and, on another day, prepared a taylor-made tour for us.He was GREAT on both occasions!On the day of the tour,he offered to take us to visit a waterfall which was not on the plan. We LOVED the unexpected hike and he and his driver made sure we were all cared for (we were traveling with my elderly parents - who he was very attentive to, since we were walking on irregular ground - and my two young sons). He always had snacks for us! Andres was very helpful when it came to some changes in our plans. His detailed knowledge of the area was exactly what we were looking for. During our brief visit we got to see more of the sites than we would ever have with an "off-the-ship-and-on-the-bus" tour. Andres was charming and had a huge amount of local knowledge.his car was clean and comfortable and he drove smoothly. We had a fascinating tour and a very enjoyable experience.